In this fast-paced space shooter you'll try to protect your homeplanet from the alien invaders. You take a role of an elite space pilot from the Alien Invasion Protection Unit. You have to annihilate the threat to put your solar system back at peace. 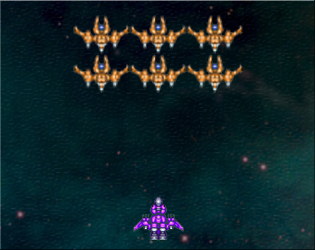 Use alien technology from destroyed enemy vessels to upgrade your spaceship and bolster your defences. Protect our homeworld from the threat from outer space.